Last year, we got a new batch of chicks and one of the turned out to be a rooster, then later in the summer we adopted a second rooster, so hypothetically, we could start having chicks. Raising chickens is funny, because you walk a fine line between not wanting hens to get broody and sit on your breakfast eggs, but secretly wanting a few new chicks too. A couple of our backyard chicken friends had hens become broody this year, so we were hopeful it would happen for us too. Finally, a few weeks ago, one of our Marans sat on a few eggs and we were off to the baby chick races. We tucked a few additional eggs under her and hoped for the best. We are terrible, I mean, extremely busy chicken farmers, and we forgot to mark which day she started (don’t do that), so the last few days have been torture. Finally, last night, we checked her and there were two cracked shells. Mama hen did a great job of hiding them, but I could hear the cheeping and finally, I found them! They were so tiny and new, I left them alone to snuggle their mama. This morning, our favorite local photographer, @photo_nerd, came over and captured a few adorable images of the new members of our flock. Somewhere along the way, I decided that raising chickens would be fun. We get our eggs from local farms, and they taste so much better, so why not get them right out of the backyard? I have a few chicken raising friends, and I found the Iowa Urban Chicken Farmers Facebook Page, so what could go wrong? I decided to get 6 chickens, but then we got to the farm supply store and they were so cute, I thought “8 would be good.” I said 8, and my 4 year old son exclaimed “No! TEN!” So now we have 10 chickens, in a little box, and I feel like I-just-brought-my-first-kid-home awkward. What the heck am I doing? I’m a city dweller from New Jersey. 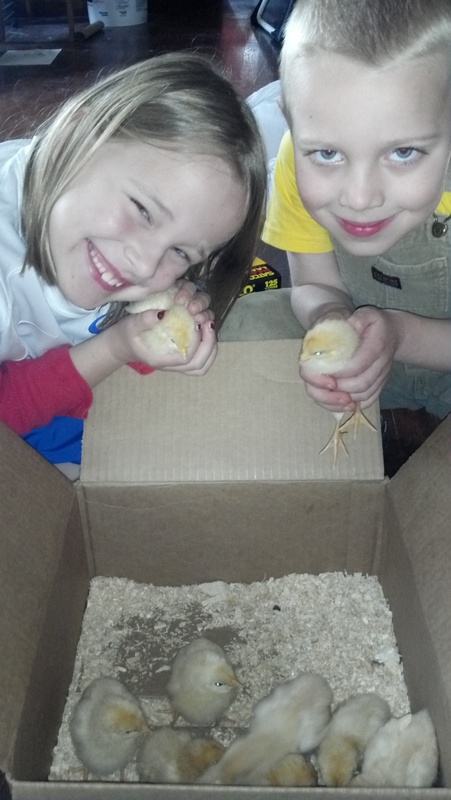 How the heck did I end up raising chickens in Iowa? Too late now…the adventure begins!